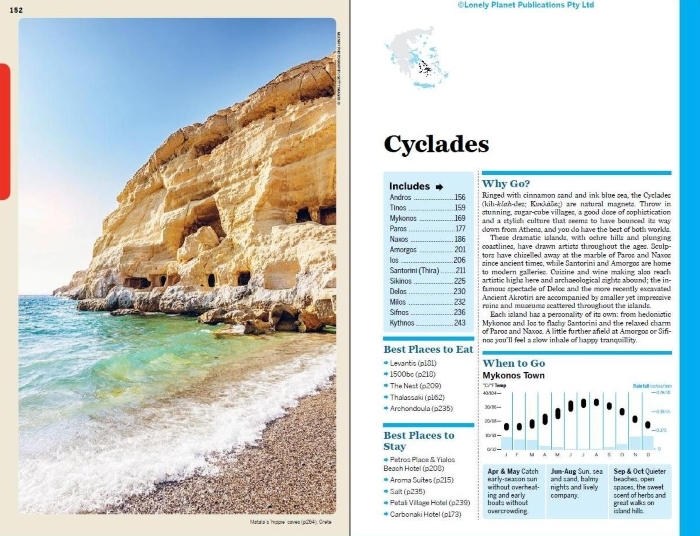 The Lonely Planet guide to the Greek Islands is a thorough and helpful guide to all the Greek island groups, with Athens included. "The first sight of the harbour of the island capital Gialos, framed against an amphitheatre of biscuit- and wine-coloured houses rising on all sides, is unforgettable." It's absolutely true and the description of the colours is original and perfect. 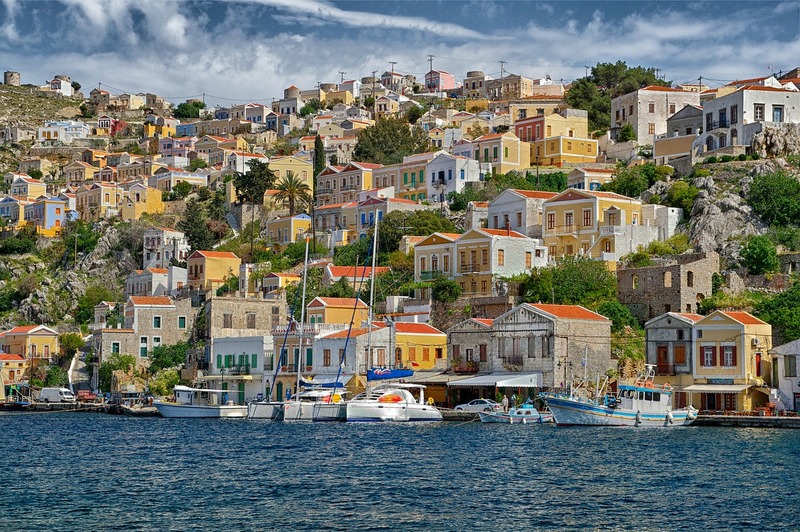 Continuing with Symi, here's a typical island entry. It begins with the name in English and Greek, and a note of the population. There's an introductory overview (from which the above quote is taken) and then a paragraph of history. Next comes the nuts and bolts, the practical info. The Getting There and Away section is particularly detailed. It not only tells you all the islands that connect with Symi, it gives the frequency of the ferries, the length of the journey and the cost. Obviously you have to allow for the fact that prices change, as do timetables, but if you're planning some island-hopping this guide will be very useful indeed. The next section is Getting Around on the island itself. Is there a bus service? Can you hire a car? What are the taxis like, or can you also get about by boat. Again, the thoroughness is impressive, with prices being given for boat and taxi journeys. Why anyone would want to rent a car on Symi, which only has two or three roads, I don't know, but if they want to then there's a car rental place listed. A detailed map of Symi shows roads, tracks, hills with their heights, beaches, bays, settlements and ferry routes, complete with distances, so you know it's only 20km to Rhodes. Next comes a guide to the main town, and around the rest of the island. The main sights are listed, followed by listings for accommodation, eating places, drinking and nightlife. It's a few years since I was last on Symi so I was pleased to see that the wonderful Giorgio's is still going strong. And things have definitely changed since I first went to Symi – no boutique hotels or gourmet restaurants back in the day! Having seen a typical island guide and the intro to an island group, what else does this Lonely Planet Greek Islands guide give you? Well, it begins with some trip planning advice and some special features, such as the Top 16 Greek Islands experiences, including Santorini Sunsets, Cretan Cuisine and the Samaria Gorge. No arguments there! 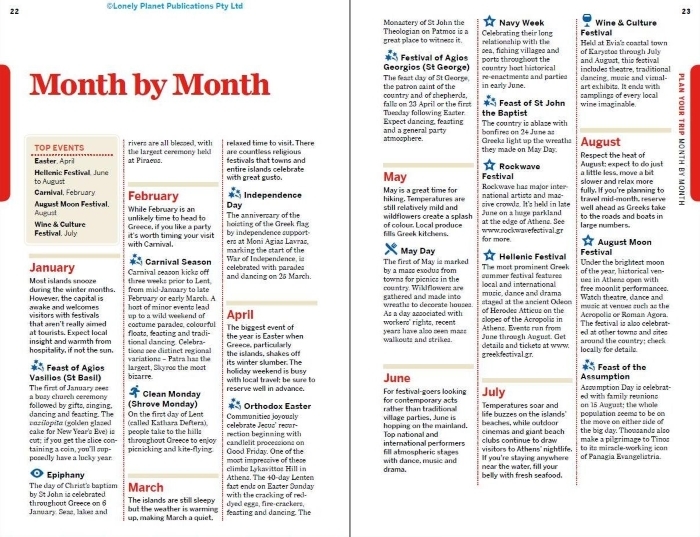 There's a special section for people making their first visit to the Greek islands, a month-by-month guide to major island festivals and events, and another spread on which islands to consider if you're interested in walking, live music, art, museums or cuisine. An Itineraries section makes some suggestions depending on how much time you have available. Ten days? How about Athens and touring the Cyclades? Two weeks? You could do Crete and the Dodecanese, flying into Iraklion and back home from Athens. 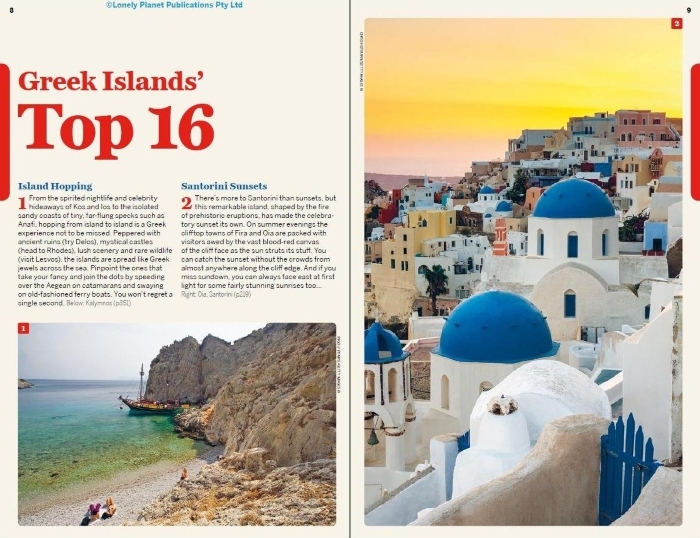 There's another section devoted to cruising in the Greek islands, and several pages with advice on planning an island-hopping trip. If you're planning to spend some time in Athens as your gateway to the islands then about 70 of the book's almost 600 pages are given over to the city. They include a neat double-page spread showing the Acropolis in 3-D, which shows you what all the different buildings are. There's even a city map of Athens which folds out from inside the back cover. There are several pages of very useful advice on the ports of Athens. 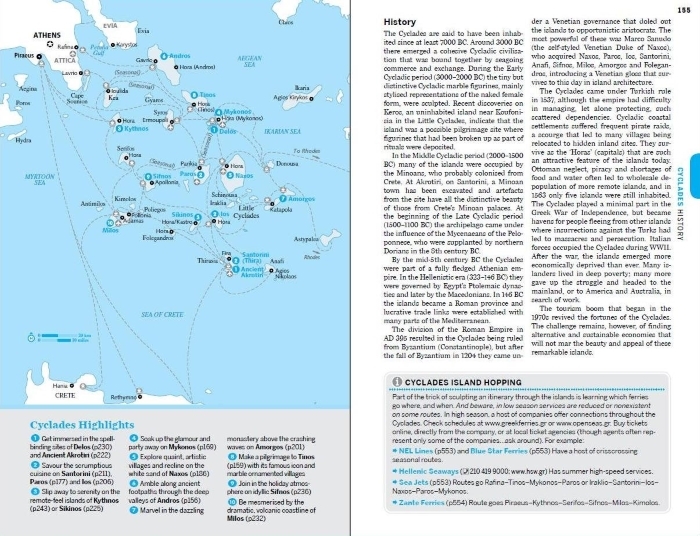 Piraeus is the main one, of course, with a helpful map which you'll need for this busy and sometimes confusing place. Two other nearby ports are also covered, these being Rafina, which serves mainly the Cyclades and Evia, and Lavrio, which also has ferries to the Cyclades. 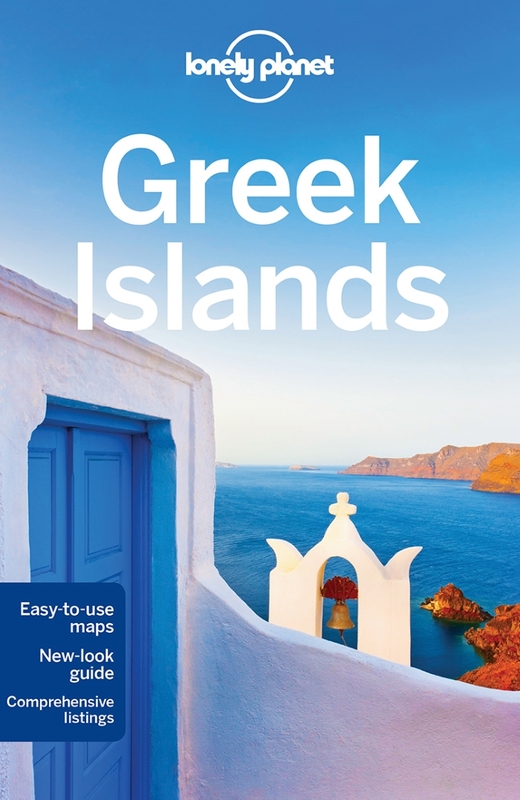 In short, this is a very thorough and useful book for anyone planning to visit any of the Greek islands. It's highly recommended, whether you're planning to visit only one island or several.